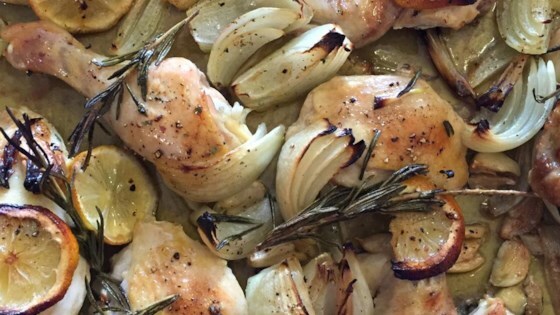 "I'm always looking for really simple-but-delicious chicken recipes. My friend and colleague Paul Grimes, who is an amazing cook (and a food stylist to boot), gave me this one. Perfect for regular weeknight meals or when company comes." Quick and easy. I used garlic infused olive oil. Yum!